Boiler breakdowns are a problem we could all do without. No one likes to be left with no heating or hot water, especially during the colder months, which, in the most annoying way, is the time when they’re most likely to go wrong. In the balmy summer time, the heating doesn’t even get switched on necessarily, but when the chilly weather hits, the boiler has to go full speed ahead, meaning that any problems will appear then. 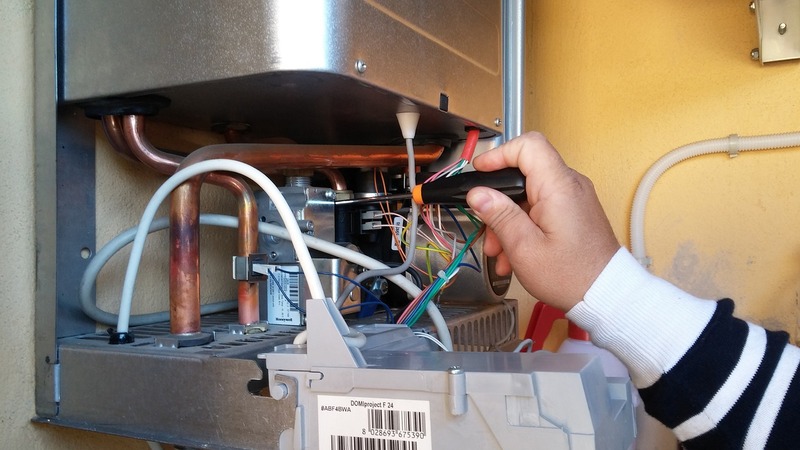 The best way to prevent the need for boiler repair in the first place is to have your boiler serviced regularly to ensure it’s running at optimum levels. Pilot light keeps going out. This potentially could be due to issues with your gas supply, a broken component or even a draught. Always get advice from an experienced Gas Safe registered plumbing professional if you’re not completely sure what is causing the problem. Thermostat not working properly – turning heating on/off when not supposed to – potentially due to the age of the thermostat and the need for a replacement. Drop in water pressure – easily spotted with a lower than usual reading on the pressure gauge on your boiler. It’s often caused by a water leak or the need for a replacement valve. Unusual whistling or banging noises – potentially due to a build up of air in the system, but could also be down to warning signs of more severe problems on the cards, such as a pump failure. Also see kettling below. Leaks and drips – proper investigation needed here to identify and rectify the cause, rather than patching up the problem. Frozen pipes – condensation freezes in the condensate pipe during extremely cold weather. This is the pipe that goes outside into the drain. When it freezes a warning is sent to the boiler to stop working. Be careful if deciding to thaw it out yourself and always seek professional advice if you’re unsure. Radiators not warming up to the levels they should – it may be that they need bleeding (which homeowners can do themselves), but if this doesn’t work, it could be that you need to have the system chemically cleaned or flushed by a heating engineer to remove deposits. Kettling – a build up of gunk on the boiler’s heat exchanger, which puts greater pressure on it, costing you more money in the long term. A warning sign of this is an unusual rumbling noise, similar to a kettle boiling – hence the name. Always keep your eye out for potential boiler problems. Any issues, once spotted, should then be dealt with quickly to ensure they don’t become bigger, more costly repairs further down the line. Unless you are totally in the know, never attempt boiler repairs on any boiler brands yourself. Instead, make sure you call out a Gas Safe registered engineer, who can carry out repairs and replace any broken parts safely and knowledgeably. If you need a professional to get your boiler problems fixed contact us today.